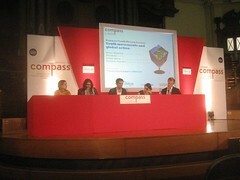 The democratic left through Compass has the opportunity to shape debate and policy; the Compass Programme for Renewal, a program to lead the country towards a modern, efficient, inclusive, collectivist, environmentalist social democracy has laid down the foundation of ideas on which to build upon. The left is in urgent need of an alternative political economy which provides the wherewithal to enable people to strive to be the masters of markets; it is this new political economy that Compass Youth will build. We believe that in the long term, the objective of social democracy is to provide an effective, constant counter-balance to capitalism. New Labour’s strategy inverts the historic purpose of social democracy – to make people the masters of markets – not the servants. In the process the unique role of the public sector and the public realm in promoting the values of equality, solidarity and liberty is contaminated by the competitive and individualistic values of the market. We also understand that social democracy is not concerned solely with the economic sphere. Its aim is to ensure that the popular will prevails over the agenda of a narrow elite or closed hierarchy. To the democratic left process must be everything. As such the means become the ends – the politics of democratic self-governance. A hegemonic social democratic project will only be built by contesting and winning the battle for freedom – by defining real freedom not as freedom from or freedom within the constraints of the market but freedom to build our lives, our communities and our societies as we see fit– by doing it together. Democracy is the key to that dream and is at the centre of the new politics that Compass Youth strives to build for young people. The autonomous Youth Wing of Compass seeks to turn ideas into action, with an internationalist perspective because social democracy’s objective must be to promote itself as a serious political force in all parts of the global economy. 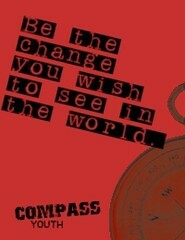 Compass Youth aims to build and facilitate a dynamic and vibrant network that campaigns for greater equality and democracy and nurtures progressive values across society. 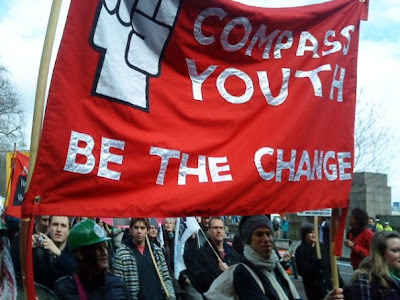 Compass Youth will look to work with as many parts of the Labour Movement as possible, to reach out to as many partners outside the traditional Social-Democratic family. We recognise the need to engage the next generation in being the actors of that change. 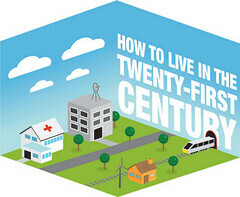 We feel it is time to engage in distinctive and influential ways to shape our future. We believe that it is necessary to build a truly social democratic party in which activists must be willing to argue for social democratic values if it wants to inspire loyalty; be rooted in our communities if wants to be relevant; and willing to seek new solutions, new partners and new strategies if it wants to be effective. We aim to make connections that will keep the Labour movement in touch with the most dynamic and innovative ideas and campaigns, but also enhance mutual understanding between the Labour party and the wider progressive movement. We need an ideological vision of the good society to show politicians and voters where government is seeking to go: the richness of human potential in today’s society requires pluralism & egalitarianism to be embraced in radical, distinctive ways by democratic left politics. Liberty demands equality: promoting freedom for all means closing the income, wealth and opportunity gap. Only collective choices and a culture of citizenship will transform the world: we must value social goods and share responsibility for maintaining them. Democracy must be cherished for its intrinsic worth and be revitalised: we need a change of culture to reconnect citizens and politicians. The public sphere must be reclaimed, public servants empowered and citizens engaged: the public service ethos must not be sacrificed to consumerism and new forms of public governance and innovation must be developed. Progressive multilateralism must govern international relations: we need to tackle global inequalities for a secure and just world. Capitalism must be managed for the many, not the few: markets have their value but they should be regulated for the public good. Environmental sustainability must become an organising principle of the left: individuals cannot achieve a sustainable world without government help. You've got an idea or activity that you'd like to develop with us, an issue that matters to you or would just like to find out more? CITIZENS NOT CRIMINALS: VOTES AT 16! WINDFALL TAX: OVER 45 LABOUR MPS SAY YES WE CAN! GET OUT THE KIWI VOTE!